Are you ready for a new kind of origami? 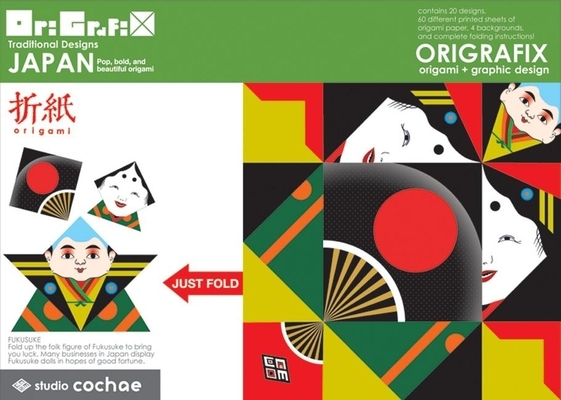 Preprinted tear-out paper with colorful pop art designs on the front and folding lines on the back turn into 3-D objects for play and display. Each volume includes twenty designs, sixty all-different sheets of folding paper, and four sheets of backgrounds for staging your creations. With OriGrafix Japan, you can make a cicada, turtle, crane, frog, little prince, Daruma, goldfish, and many more.